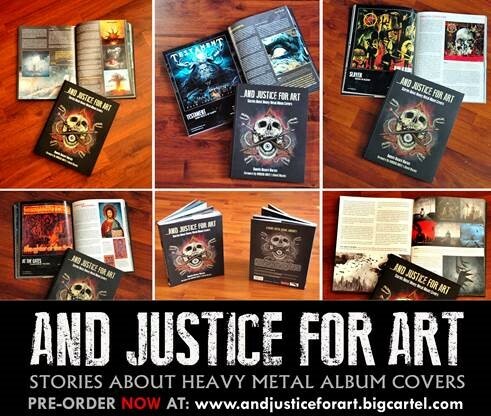 A stunning video preview of “…And Justice For Art” book has been released. Pre-orders for limited second edition are now available. 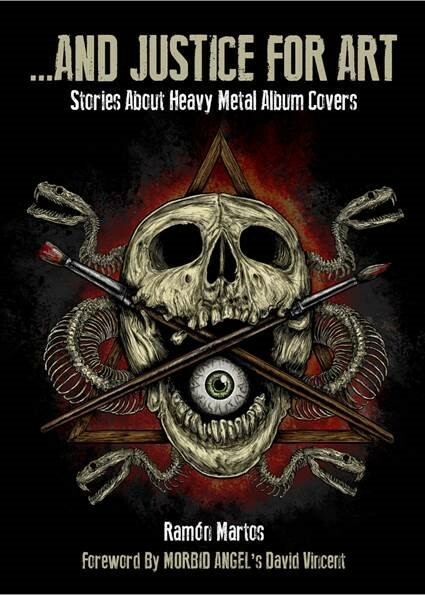 According to Morbid Angel’s legendary bassist/vocalist, David Vincent, the book …And Justice For Art: Stories About Heavy Metal Album Covers is set to become “a historical document about the importance of Metal album covers.” This volume is a one-of-a-kind collection of stories that recount for the first time, all the particulars behind the making of artworks as iconic as SLAYER’s “Reign In Blood”, MORBID ANGEL’s “Blessed Are The Sick”, METALLICA’s “…And Justice For All”, MOTORHEAD’s “Orgasmatron”, DEATH’s “Symbolic”, ANTHRAX’s “Among The Living”, CARCASS’ “Heartwork”, TESTAMENT’s “Dark Roots Of Earth”, OPETH’s “Heritage”, AT THE GATES’ “Slaughter Of The Soul,” VAN HALEN’s “1984” and many others. Martos spent more than three years researching and interviewing more than 100 established and underground Metal bands for the book as well as renowned visual artists like Travis Smith, Eliran Kantor, Paul Raymond Gregory, Arik Roper, and Joe Petagno, among others. The book’s foreword was written by Morbid Angel’s David Vincent. 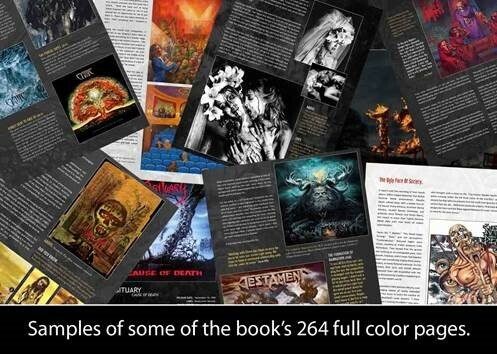 It features more than 400 graphics (some of them never seen before) and 264 glossy, color pages. 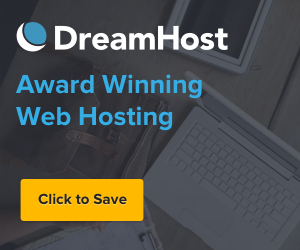 It was printed thanks to a successful Indiegogo crowd-funding campaign that Martos launched last year raising 236% of its original goal. And Justice For Art is also scheduled to be one of the main attractions of the Rock & Metal Gallery at the UK’s famous Bloodstock Open Air in August 2015. For more details visit www.andjusticeforart.com. You can also visit the book’s official Facebook community or contact andjusticeforart@gmail.com.